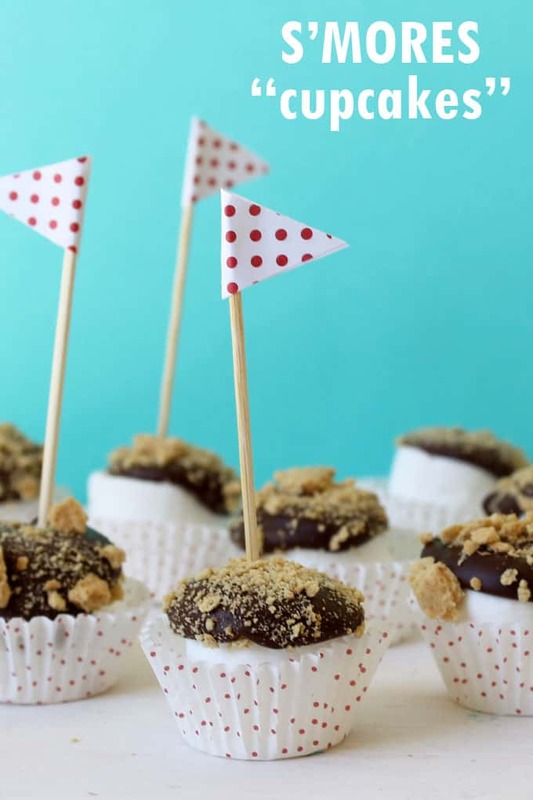 Mini s’mores “cupcakes” for a summer dessert idea: The flavors of classic s’mores, dressed up to look like mini cupcakes! Next up in my week of Summer cupcake ideas… S’mores cupcakes. 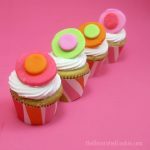 Cupcake style, that is. 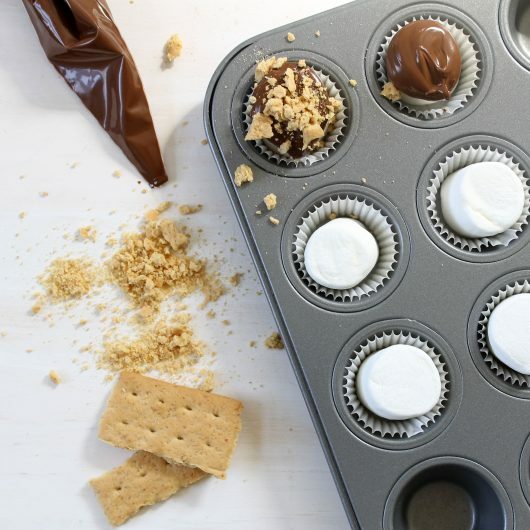 There are no actual cupcakes involved in the making of these, but I stole the cupcake concept to make easy-to-eat, s’mores bites. Two more bonuses: No flames involved. No labor required of your party guests. 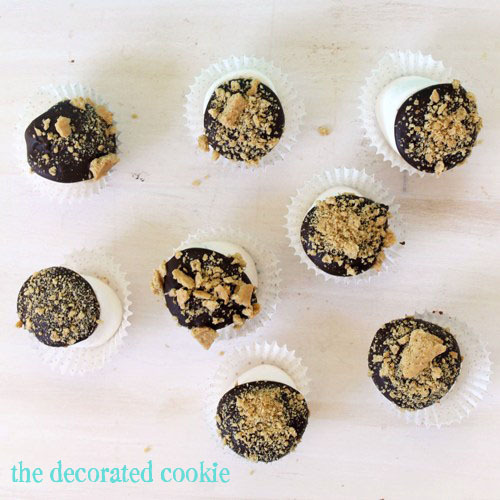 So, hence why the s’mores “cupcakes” is in quotation marks. 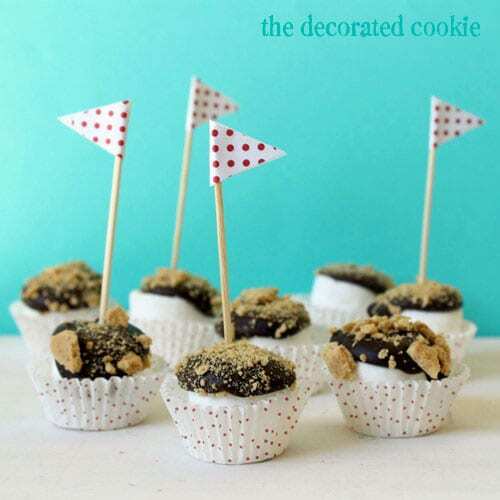 *Find the cupcake pan, wrappers and disposable decorating bags in the craft store. Crush your graham crackers. Place a few graham crackers in the zip-top bag and crush with the mallet or hammer. Be sure to place the bag on a cutting board or towel to protect the surface underneath. Set aside. Prepare the pan. Line a baking pan with as many cupcake wrappers as you’d like. 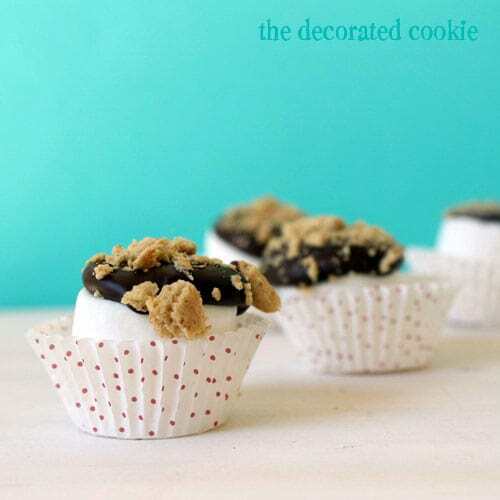 Insert a marshmallow into each cupcake wrapper. Melt the chocolate. 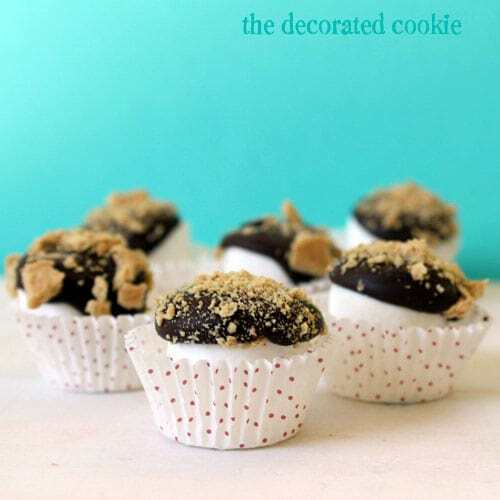 Place about1/2 cup of chocolate chips in a disposable decorating bag. Microwave at 70 percent power for 90 seconds and massage the chocolate. Repeat at 15 second intervals until the chocolate is fully melted. 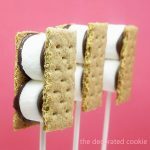 Make your s’mores. Snip 1/2-inch from the tip of the decorating bag and pipe a dollop of chocolate to cover the top of a marshmallow. Sprinkle graham crackers on top. Repeat with the rest of the marshmallows. 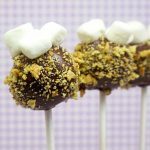 Each 1/2 cup of chocolate should cover about 8 marshmallows. Use a new disposable decorating bag to melt additional chocolate. Place the tray in the fridge until the chocolate sets. Such a cute ideas! Love the little flags!